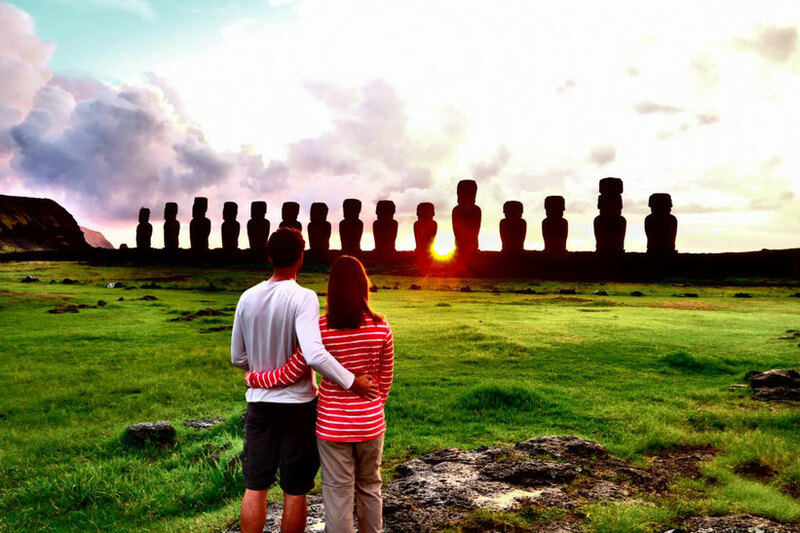 The budget you need to travel to Easter Island! Can you point on the world map where Easter Island actually is? We couldn’t before we were looking into our route around the world. This place is so remote and has this mystical touch to it that it feels like out of this world for most of us. A reason why you should definitely put it on your bucket list! 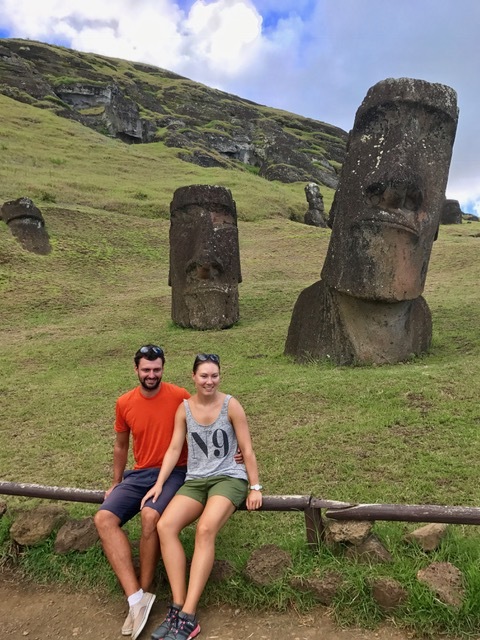 So, when we decided to cross the pacific on our trip, we caught the idea of not flying directly from Auckland to Santiago de Chile, but to visit some of the gems of the pacific ocean... and Easter Island was definitely the main trigger here! Who knows if we ever get there again, so we couldn’t miss it! To give you an insight of how much it will cost to go there, we will sum up what we spent and how you can visit the island on a budget. Okay, let's be honest, this is not cheap Thailand, but it's a once in a lifetime trip you will need to spent some money on. First of all you need to get the insanely expensive ticket for the National Park, which gets checked at the different sights. As a foreign tourist you pay 54.000 Chileno Pesos which is equal to 82$ or 77€ as of January 2017 and it lasts for 10 days. As it is common in South America locals pay much less. Another big disadvantage is that you need to pay CASH and their are only two ATMs with high fees on the island (The banks are Santander and Estado). 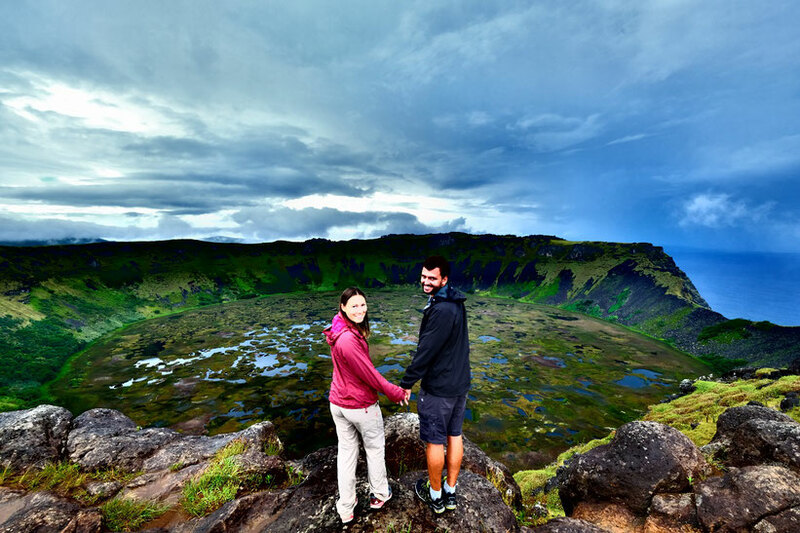 Below, we show you the expenses for a 4-day trip as a couple based on our experience, adding up to less than 1.950$ in total for two. We enjoyed the trip a lot and it is a highlight of our round the world trip, we have to say that price/value was definitely worth doing it. Sure, we won't just give you some plain numbers, but also tell you how this amount added up! Check out our tips and tricks where to save your hardly earned money! 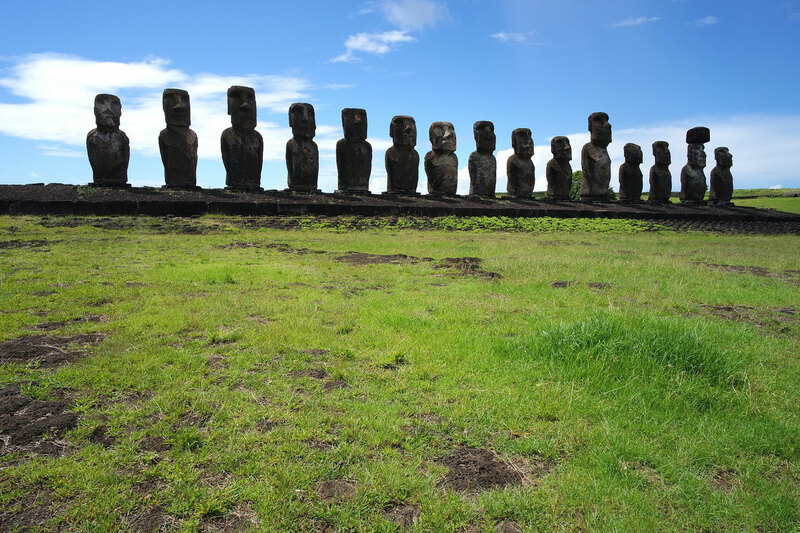 As you can imagine, Easter Island can only be reached by plane, at least if you don’t wanna spent weeks on a ship ;) Even the flight connections are kind of limited. There are only two ways to get to the island - daily flights from Santiago and one flight per week from Tahiti. Prices vary depending on the time of booking and the season, but they are never really cheap as LATAM is holding a monopoly on the route. Return flights from Santiago will cost you between 350 to 600 US Dollar while the connection to Tahiti squeezes all your money out if you fly one way (which is a popular around the world connection!) and costs around 800 US Dollar. BUT, I just found a return trip to Tahiti for 400 US Dollar, which is much cheaper even if you don't board the return flight! 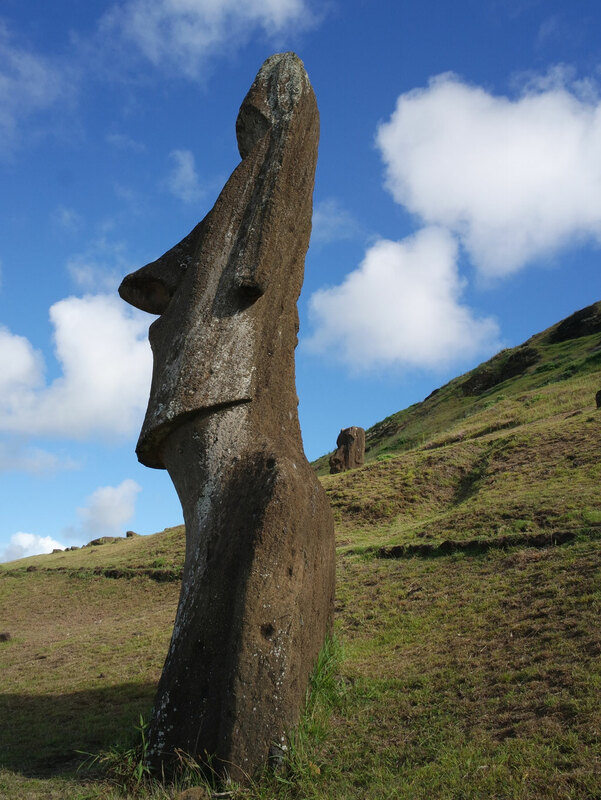 Keep in mind that the direction Tahiti - Easter Island is only flown on Tuesdays and the way back from Easter Island - Tahiti on Mondays. Hotels are unsurprisingly quiet expensive as well. There are no hostels, so we stayed at a guesthouse, which was quiet nice and the owner was really friendly and brought us fresh pineapple. On the other side it was not in the town center (app. 20 min walking). 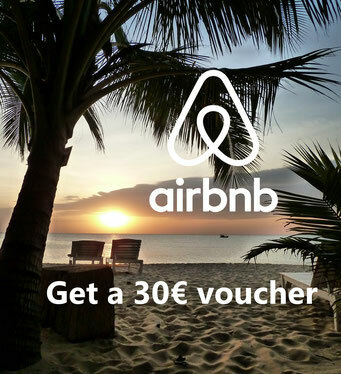 Prices start at about 50 US$ the night for two but increase highly with more comfort. For a very low-budget, camping can be an option which costs around 20 US$ for a site. A friend we met on the island stayed at Hotel Manavai located in the centre of the town with a nice garden and pool. If we ever come back, we probably would stay there (around 200 US$). This island is well prepped for tourists and offers many options for activities and excursions, which is nice, but on the other side, as an individual traveler you have no chance to avoid it. Doing a guided tour helps to get to know the island. 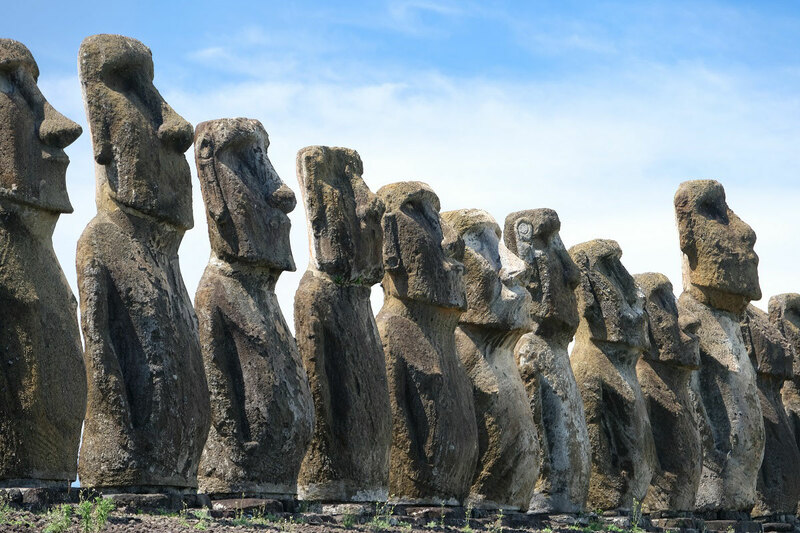 You learn a little about history and the different types of moais, the different tribes, why they built them and how it all ended all of a sudden. A full day tour brings you to the most important sights and includes a lunch (the food on the tour was not worth it) – all in all it cost you about 50$ per person. What we didn't like so much about that is the strict schedule making you jump on and off the mini van all the time. A great alternative is to rent a car. Either way, also not cheap, approximately 70$ per day. But try to find some buddies, team up and get a car so you can split the costs. Sunrise and sunset is definitely worth it and super unique! 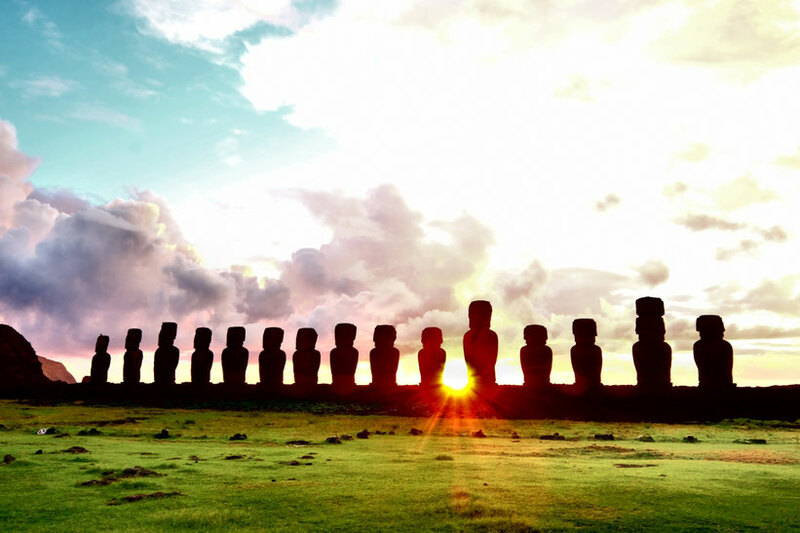 The best spot for the sunrise is Tongariki on the northeast of the island (pic below). As an activity for the night, you should definitely visit a Polynesian dance show. We went to "Kari Kari", which is supposed to be the best one. And we were definitely impressed and it was a great experience. Be prepared for a lot of bare skin and tattoos ;) By the way there is an option to book a typical dinner before the show, but we're not sure if it is worth it. There is one restaurant where we and all the locals ate all the time! It's simple and cheap – between 2 and 5$ for the sandwiches – but absolutely delicious. It's called "Club Sandwich" and you can find it on the main road just some steps down across the "Islander" car rental. Generally, groceries are expensive but bread is cheap and some other basic foods as well. And the pineapples you get right on the street are amazing! If you bring a couple of things with you and try not to buy meat than you should be fine. We figured out that eating at Club Sandwich was actually cheaper than buying the single ingredients in the supermarket! More pricey options can be found along the main road and on the waterfront.